The vision of Integridad Foundation sees the universe as a single self-affined fractal of which each human being is a sub-fractal. 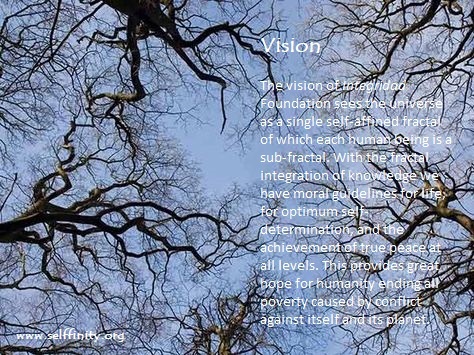 With the fractal integration of knowledge we have moral guidelines for life, for optimum self-determination, and the achievement of true peace at all levels. This provides great hope for humanity ending all poverty caused by conflict against itself and its planet. 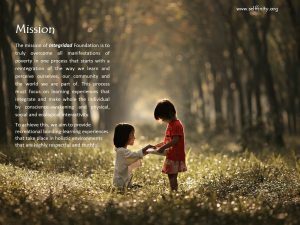 The mission of Integridad Foundation is to truly overcome all manifestations of poverty in one process that starts with a reintegration of the way we learn and perceive ourselves and the world we are part of. This process must focus on learning experiences that integrate and make whole the individual by conscience-awakening, physical, social and ecological interactivity. To achieve this, we aim to provide recreational bonding-learning experiences that take place in holistic environments that are highly respectful and truthful.